For over forty years, Anaheim Global Medical Center has provided the local Orange County community with high quality, professional, and compassionate healthcare services. Our 189-bed acute care facility offers advanced medical technology, and a wide range of health care services. Our high caliber healthcare team stands ready to serve the Anaheim community. Our physicians, nurses, and staff members come from a wide range of backgrounds and expertise, providing unique lenses that collectively focus on the medical and cultural needs of our community members. Anaheim Global Medical Center holds an active interest in local and community-based programs that serve the culturally diverse population of Orange County. As members of both the Anaheim and Hispanic Chambers of Commerce, our hospital is committed to advancing the positive relationships these organizations have with the local communities our hospital serves. Our hospital takes great pride in the excellent care we provide, the wide array of services we offer, and the high-level of expertise and compassion our physicians, nurses and hospital staff deliver to each and every person that steps through our doors. Committed to our position as the premiere facility providing excellence in care, community leadership, and becoming the facility of choice. 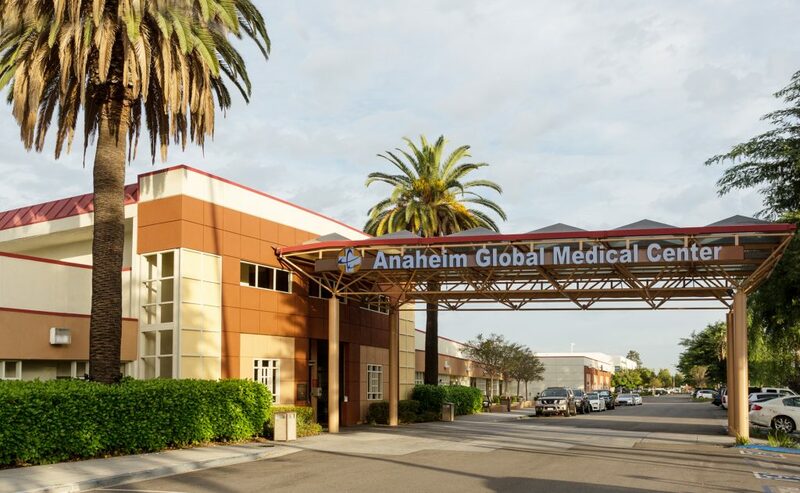 As the community’s healthcare needs continue to grow, Anaheim Global Medical Center supports and maintains a full range of specialty services that serve both our patients and their families. Contact Anaheim Global Medical Center at 714.533.6220 and ask for the Business Office for further assistance.